(WSB-ERO) – The Organisational Development Core Group has reviewed a number of resources, including toolkits, factsheets and videos. It has recently compiled a refined list that it believes may be of interest to NSOs/NSAs across the European Scout Region, who are looking to improve in this particular domain and it complements the ‘Organisational Development Model’ for Scouting which they have been working on. Organisational development (OD) is a planned effort to make an organisation more effective and sustainable by involving the people of the organisation in a change process which is based upon a strategic vision that evolves with society and focuses on the Mission of Scouting. 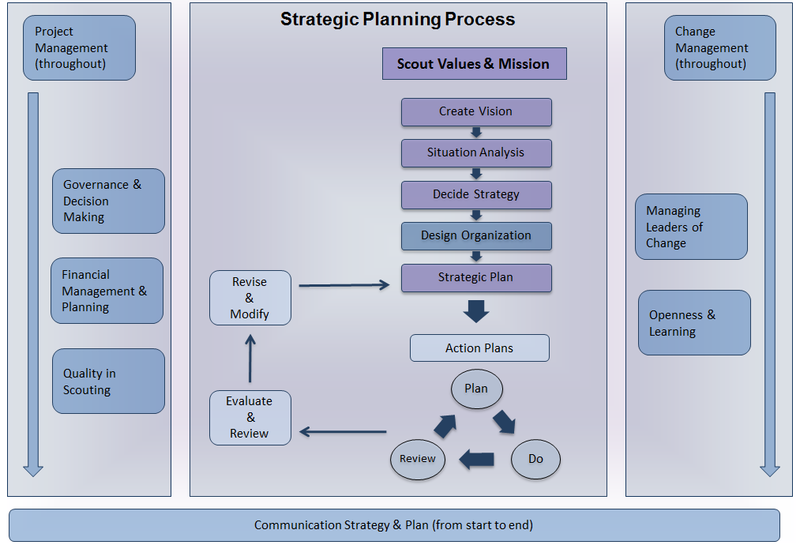 The Organisational Development Model was created by the European Scout Region to describe the practices that contribute to the successful operation of an effective Scouting organisation. These practices or Disciplines complement the design and delivery of youth programme and WOSM’s Adults in Scouting approach and enable NSOs to work effectively, to follow through successfully with their plans and to sustain o their work over time. They include Strategic Planning, Project Management, Change Management Project amongst others. 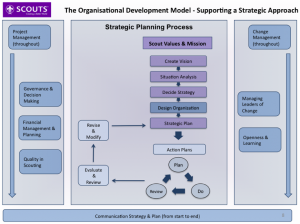 View the Organisational Development Model and useful documentation relating to Organisational Development.